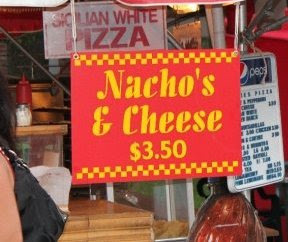 Apostrophe Catastrophes: What Kind of Cheese Is Not Yours? Would you like some nacho's with the deep-fried Oreo's you ate yesterday? I think those would just make you sic again. Ugh, sorry, I couldn't resist. Thanks again to Stephanie for these food-related catastrophes!